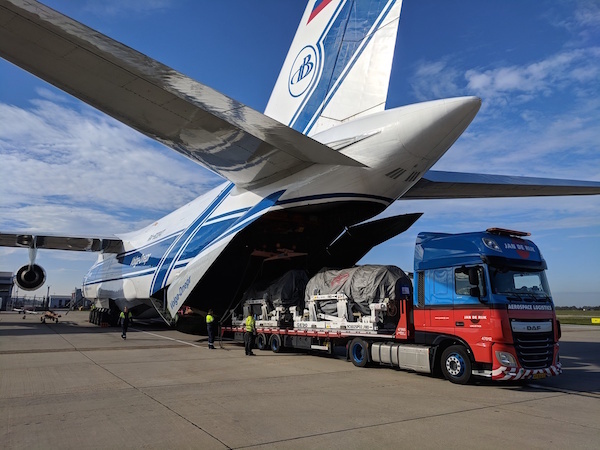 Volga-Dnepr Airlines, the leading cargo carrier in the transportation of oversized and super heavy cargoes, has delivered two GE-90 aero engines and accompanying aerospace equipment for GECAS, a world leader in aviation leasing and financing. 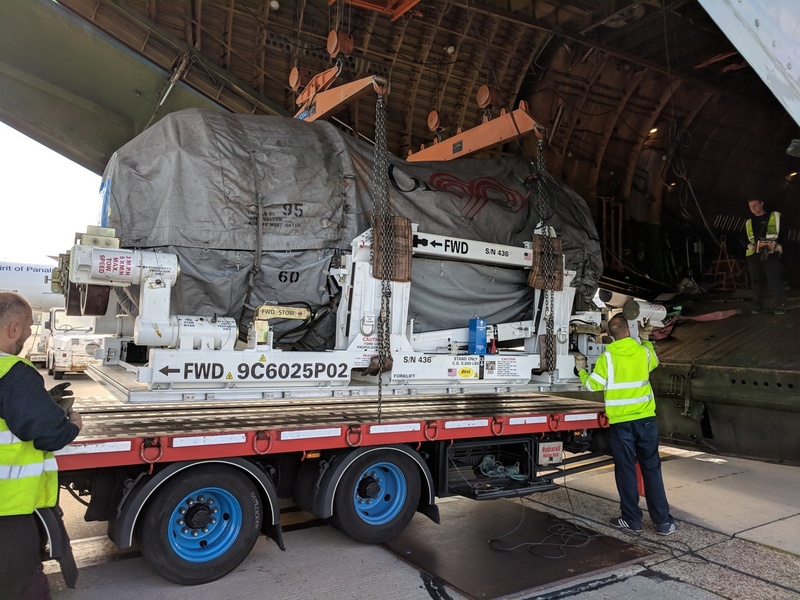 The payload onboard Volga-Dnepr’s An-124-100 freighter flight from Dallas, Texas, to London consisted of two GE-90 engines as well as two propulsors and fan cases and other equipment weighing a total of 64 tons. The GE-90’s dimensions of 750x380x380 cm and weight of 12,000 kg in its transportation stand means it can only be transported using an An-124-100 aircraft. All eight cargo positions, including engines, props, container and fan cases, were carefully loaded using the An-124-100’s internal cranes through the rear door of the aircraft. The legendary An-124-100 is a unique ramp loading cargo plane, which is capable of both rear and nose door loading and is self-sufficient in all airports of the world owing to its onboard loading equipment. “We are delighted to have GECAS among our customers, extending our long-term and reliable partnership with General Electric. It is an honor to support both companies with our expertise and experience and to find the most cost-efficient logistics solutions for their needs. Our active and dynamic team of cargo professionals was able to organize this charter taking into consideration all requirements and guaranteeing a high-quality logistics service,” stated Russell Means, GE Global Key Account Manager at Volga-Dnepr. Volga-Dnepr Airlines is a recognized leader in the transportation of project cargo and heavyweight and outsize cargoes. It provides logistics solutions for various industries and covers all stages of the transportation process, from cargo inspection and packaging advice through to offloading at the chosen airport destination. In the first nine months of 2018, the company has organized more than 130 deliveries of aerospace equipment onboard its unique fleet of 12 124-100 and five Il-76TD-90VD freighters.